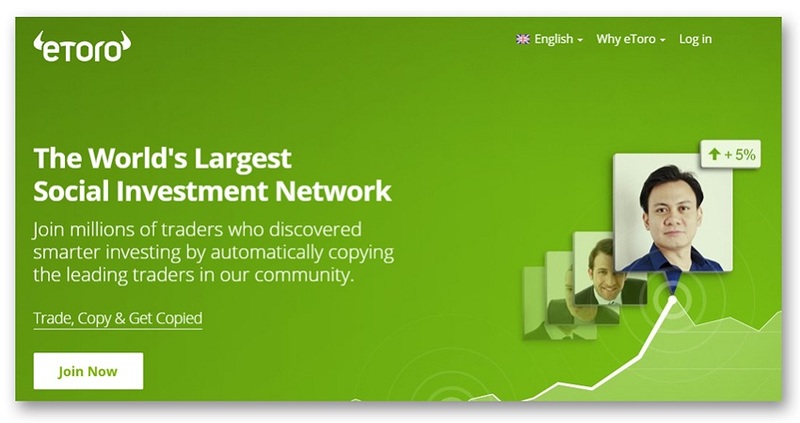 eToro is currently one of the fastest growing online trading platforms in the industry. Its explosive growth can largely be attributed to the approach that it takes towards trading. It was the first online broker to offer a social trading platform, where traders can benefit from the wisdom and experience of other traders in the community. Owned by a U.S based company called Tradonomi LLC, e Toro is registered with the Commodity Futures Trading Commission (CFTC) as well as being a member of the National Futures Association (NFA). In other words, it is in compliance with the strict regulatory requirements imposed by the U.S financial regulatory agencies that are designed to ensure a fair and transparent environment for traders. It is also registered with CySEC in Cyprus and eToro UK is registered with the UK’s Financial Conduct Authority. As a pioneering broker for social trading, eToro.com took the online trading community by storm when it first introduced the eToro OpenBook platform. The platform, then the first of its kind, allows users to connect with each other and tap into the collective knowledge of the social trading network. One very unique feature of the platform is the “CopyTrader”. With it, the eToro trader can emulate the trades of the best traders in the community with just the click of the mouse and at no cost. This “copy trading” feature is especially attractive to novice traders who can practically copy the trades of the more experienced peers. There is no doubt that the copytrading function is one of the most attractive features in the Openbook. For users wanting to trade on their own, there is the web based platform called the eToro WebTrader. As it is web based, users can use it from anywhere with just an internet capable computer. With its user friendly interface, the various functionalities of the platform are easy to understand and operate. While the Webtrader might not have all the bell and whistles of the popular MetaTrader 4 platform, it does come with its own set of integrated tools which users can employ to enhance their trading capabilities. In mid-2015, eToro.com upgraded their platform by integrating the OpenBook and WebTrader into one single platform. Now with just a click, users can switch seamlessly from the OpenBook to the WebTrader or vice versa. It also recently launched its OpenBook app which traders can download to their mobile devices to extend their trading mobility. At eToro, there is only one live account type. The minimum deposit however ranges from $50 to $500 depending on which part of the world the trader is from. When e Toro first began their operations in 2006, the only asset that was available was forex. Since then, they have substantially expanded their product offerings to cover also Exchange Traded Funds (ETFs), Stocks, Market Indices and Commodities. Spreads vary from one asset to the other. For example, the spread for the EUR/USD currency pair is 3 pips, for the GBP/USD pair it is 4 pips and for the USD/JPY the spread is only 2 PIPS. Depending on what assets you are trading, the leverage ratio ranges from 1:1 to 1: 400. Support services are on a 24/5 basis and can be accessed by email, live chat or the telephone. Deposit $300-$999 – receive extra 25% of the deposit in credits. Deposit $1000-$2499 – receive extra 30% of the deposit in credits. Deposit $2500-$10000 – receive extra 40% of the deposit in credits. eToro credits are credited to the user's account to be used for trading and cannot be withdrawn from the account.